AEA provided design services for installation of DMS signs,) travel time systems (TTS) – Transmit and Bluetooth, CCTV camera controllers, DMS controller modifications and prepared fiber assignment and connection diagrams for forty five (45) TTS devices, thirteen (13) DMSs, fourteen (14) CCTV cameras, and three (3) mini Hub cabinets under Advanced ITS Contract to be used in monitoring and controlling traffic during construction of Route 295/42/I-76. We designed ITS facilities for the data and video communications network and provided for system integration of the Ethernet based fiber optic and wireless systems into the NJDOT Traffic Operations Center South existing ITS device operating systems. Prepared design, construction plans, block diagrams, fiber assignment diagrams, wiring diagrams and panel schedules for load centers, construction details, specifications and cost estimate. AEA also prepared design and testing requirements for the ITS components and performed coordination with utility companies to obtain electric services confirmations for the electric load centers. 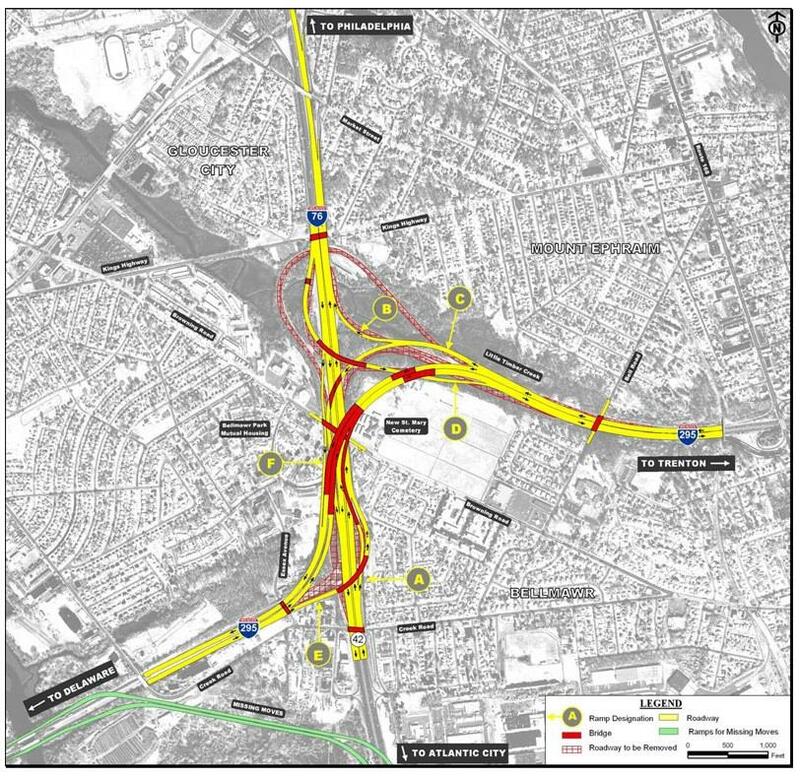 Project was fast tracked to allow use of the proposed devices for traffic mitigation during construction.